After what seems like weeks of sorting, packing, moving and dumping things we have finally finished clearing the upstairs. The 2 boys have made their home downstairs in amongst boxes, chairs and other interesting items. The work starts tomorrow morning. 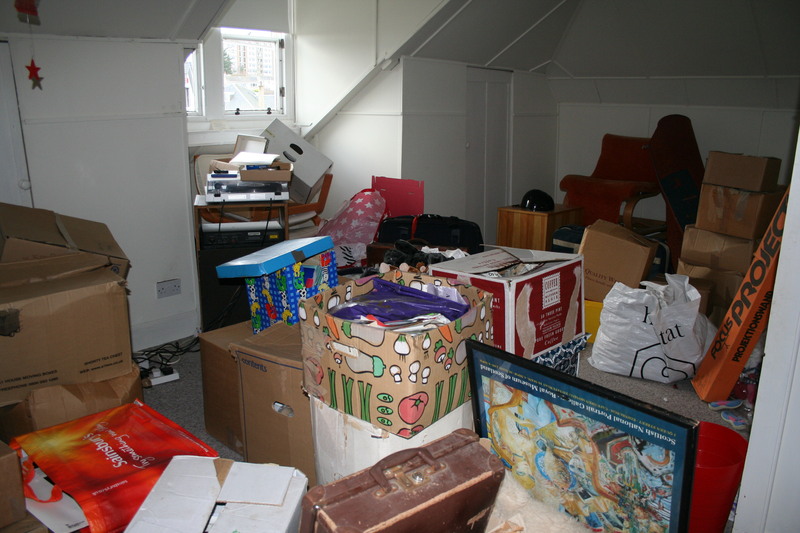 Here’s a photo of the front room upstairs on Saturday afternoon just to give you an idea of what we have shifted since then. That’s the first stage done and hopefully the most emotionally and physically demanding part too. Renovation is one of those things, you know, when you discuss something and agree on this and that and then you find yourself telling people what’s happening and, secretly, you feel that the time will never actually come. Then the time does come and you need to face the music and you feel almost surprised this day has actually arrived. Or is that just me? It has happened lots of times in my life, too many to mention at this time of night. 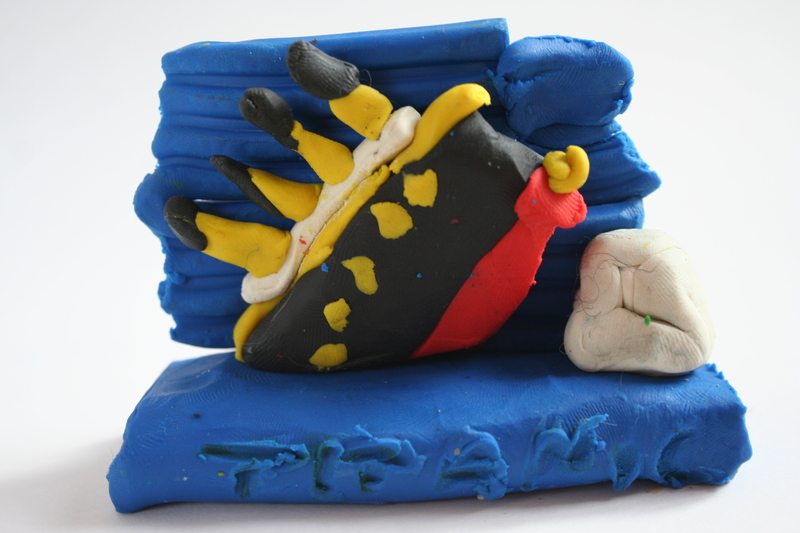 While his parents were busy busy on Saturday, our wonderfully talented boy F made a plasticine model of the Titanic on its way down, like you do. I promised to show the world his amazing creation so here it is.